Get kitchen cleaning services in Mumbai with a 30 Day Service Guarantee and Protection against Damage upto INR 10,000. We provide services like Deep Cleaning, Sanitization, Vacuuming, and our 4+ rated experts use well mechanised equipments to clean your kitchen. Our cleaning experts will deep clean your kitchen without any hassle. Just book an expert on UrbanClap and get the best kitchen deep cleaning in Mumbai. Professional . Work done as expected . Satisfied . First of all there was a confusion with the service guys about putting back the utensils in place after cleaning was done. When we provided them the utensils after cleaning they had issues with it taking a lot time which I wasn't happy with. Awesome service! Highly recommend them. It's a good job done by Mr. Ganesh and Mr. Masumahmed... They really did clean each and everything, including exhaust fan. Initially the cleaners did well but in last 1 hour they were working just to finish their jobs. exhaust fan and many other areas left uncleaned. though the persons are hardworking, polite n well behaved in nature but cleaning was just ok. Service not worth the price given. Your kitchen is a place for you to create your culinary masterpieces and therefore, it needs to be kept clean and hygienic. However, keeping it free from grease and dirt may turn out to be a challenging task. Even if you clean your kitchen regularly, you need to plan some deep cleaning sessions for your kitchen as well. 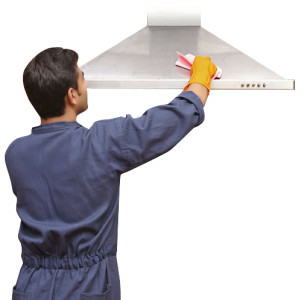 Since cleaning your chimney, kitchen ducts, appliance and scrubbing off the grease from different surfaces is going to be a challenging task, you must consider hiring professionals for kitchen cleaning in Mumbai. Get a Hygienic Environment: Your kitchen plays an important role in determining the health of your family. Not only does the food you cook impact your health but the level of cleanliness and hygiene in your kitchen plays an important part too. If your kitchen is dirty, it will attract pests such as cockroaches, ants, rodents, etc. and become a breeding ground for germs. Dirty exhaust fans and chimney will not be able to function effectively and lead to bad odour inside the kitchen. And oil stains and grease will make things slippery and unpleasant to see. This will create an unhygienic environment in your kitchen. Therefore, it is important to hire professionals who can clean your kitchen thoroughly. Save Time: If you have a packed schedule on a daily basis, having a chore like kitchen cleaning is only going to stress you out. You would want to relax when you have some time off instead of scrubbing oil stains off your kitchen shelves. Hiring professionals for kitchen deep cleaning services help free up your time so that you can get some time off. You can utilise this time in any way you want and still get a clean kitchen at the end of the day. So, save time and say good-bye to stress. Remove Bad Odour: Tadka is the heart of many dishes frequently cooked in India. However, this also makes your kitchen (and home) smell of oil and curry. If you do not deep clean your kitchen regularly then this can have an impact on how your kitchen looks and smells. Therefore, it is important that you hire kitchen deep cleaning services in Mumbai. After the service, your kitchen will smell fresh and clean and make it a pleasant environment to cook delicious meals. High-quality Services: UrbanClap is committed to providing high-quality services to its esteemed customers. Our professionals use high-quality cleaning equipment and products to clean and sanitise your kitchen. They use biodegradable and non-hazardous chemicals to do the job so that there are no health risks for your family. You can also avail other cleaning services such as home deep cleaning, bathroom deep cleaning, carpet cleaning, etc. from our website or app. Affordable Prices: We offer our kitchen cleaning services at affordable prices and customers can avail these services as often as they need. We also offer an insurance coverage of up to Rs. 10,000 for our kitchen cleaning services in Mumbai which means that our customers do not have to worry about bearing the loss if anything is accidently damaged during the service. Trusted Service Providers: You can trust the service providers sent to your home by UrbanClap for the service. We run background checks on professionals before registering them and ensure that they have relevant experience in the field. We have stringent selection criteria so only the best service professionals get registered with us. When you book our professional kitchen cleaning services, you can be sure that we will send our trusted service providers for the service. Convenience: Our customers can book kitchen cleaning and other services such as bathroom cleaning, home deep cleaning, sofa cleaning, electrician, plumber, handyman, etc. from our website and mobile app at their convenience. All they need to do is to tell us about the size of their home and the date and time when they want to avail the service. We send the professionals with all the equipment and cleaning products to their home at the appointed date and time for the service. The cleaning and disinfecting of windows, ceiling fans, exhaust fans, switchboards, doors, door handles, gas knobs, burners, chimney hoods, kitchen sink, all other stainless steel and chrome fittings, kitchen appliances, storage cabinets, etc. Removing and re-arranging of the utensils in the cabinets. Washing, wiping and disinfecting of the tiles and floors. Removal of stains and grease from all surfaces. What is the Cost of a Kitchen Cleaning Service in Mumbai?